This was Project #12 on my First Quarter list HERE for the Finish-a-long. The past couple of years I have not been that great about getting baby quilts that I planned as gifts finished and delivered! This coming Sunday I plan to deliver 2 such Quilts. If I can manage it I plan to finish another one next week. I have been really spurred on this year by the Finish-along group, by instagram, and an insane desire to complete as much as I can before we hand the keys over to this current apartment in 7ish weeks! I am overjoyed that I completed this quilt yesterday afternoon! It was quite funny to find a place to get some pictures. I finally decided to combine a much-needed trip to the park with my pictures taking. There was a boy who kept popping up just behind the quilt as I was snapping pictures and you can see the shadow of his sister on the top of the structure! That is beautiful, Shanna. The colors are great too. 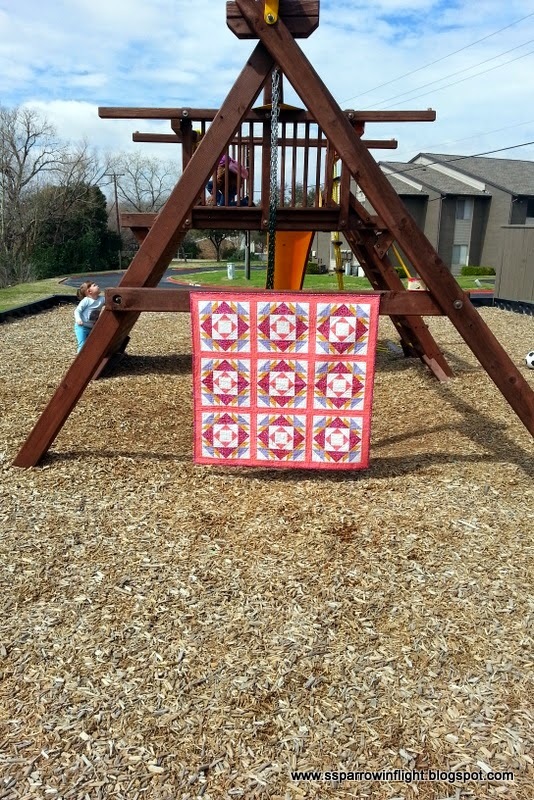 A swingset is the perfect picture spot for a baby quilt. Well done! 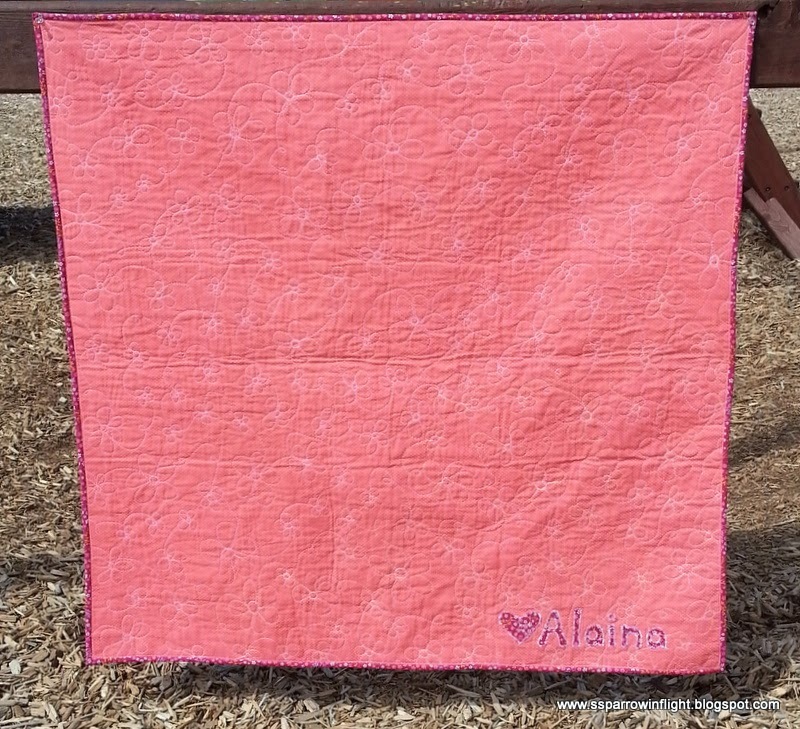 Great quilting too, Shanna. Love the pics at the park -- so sweet. So glad you linked up to TGIFF! Very cute! Your points look so precise!!! What a gorgeous quilt! 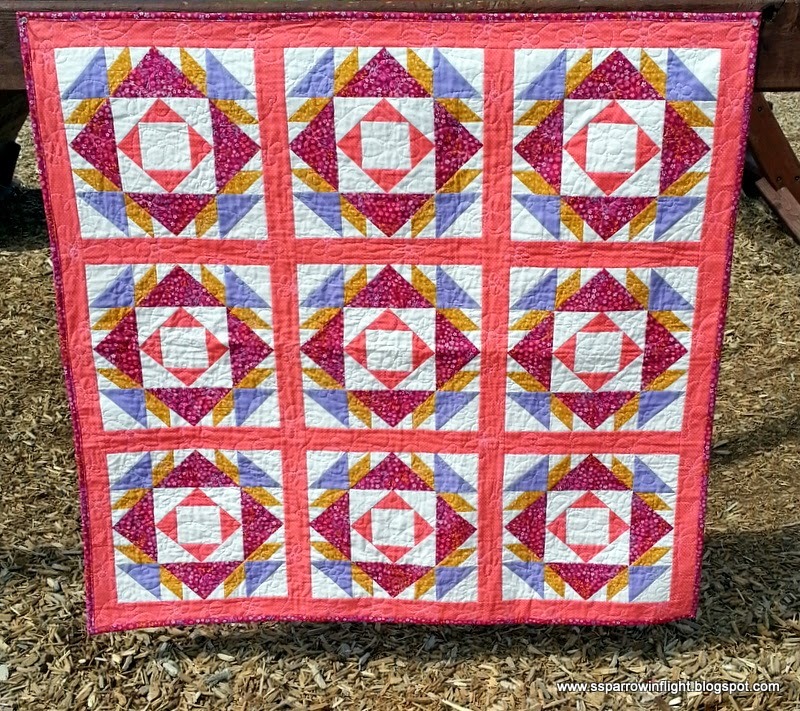 That fmq flower quilting adds a lot of fun that finish. 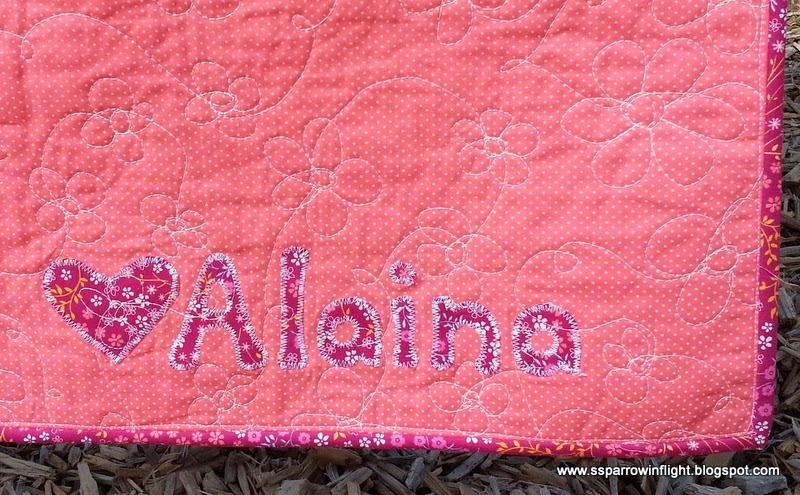 And I love the applique personalization. Looks like the photo session was also a lot of fun!!! That is just a beautiful quilt. I love the color scheme you chose.